Reality of deal with IMF, Possible change in Punjab. Has decision of changing ministries of various federal ministers been taken? 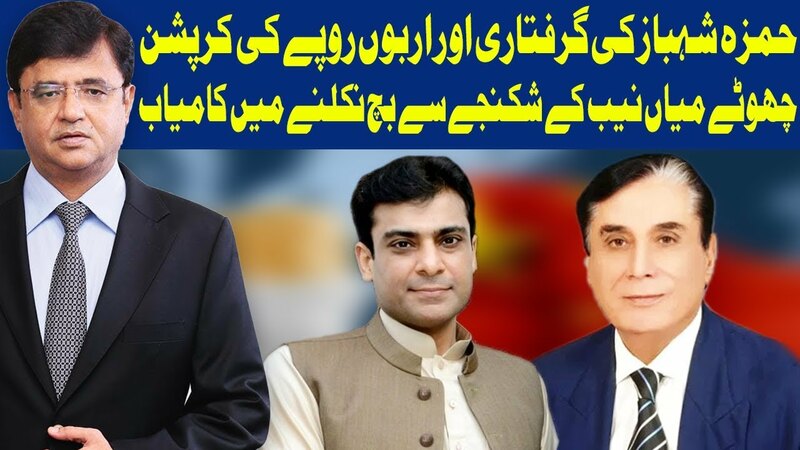 PTI government interference in NAB affairs. Hazara community on protest after Hazarganji attack. NAB after Shahbaz Sharif family on money laundering charges. Who is in danger: 18th amendment or those who passed 18th amendment? Taking live calls of viewers in today show. Bilawal Bhutto blasting speech in Ghotki, Zardari on the edge of Jail. Should not Pakistan send India a dozier over its involvement in destabilizing Baluchistan. Does opposition have enough power to topple PTI government? Zardari & Moulana desperate to topple PTI government, Is Nawaz also ready? Islamabad High Court allowed two Hindu girls from Ghotki, Sindh to reunite with their husbands. Trouble time of PMLN is now ending as they are getting relief from courts one after one. What are Zardari & Fazal Ur Rehman waiting for? Was this change or new Pakistan promised by Imran Khan? Is Modi going to be elected as Indian PM again? Modi is planning another major action against Pakistan before election. What progress made in Sahiwal shooting incident? What was the agenda of Fazal Ur Rehman & Nawaz Sharif meeting.